Serene wooded hillsides, gazebo with Adirondack chairs and outdoor fireplace, smoked barbecue washed down with hoppy beer, singer-songwriters playing quietly in the background. 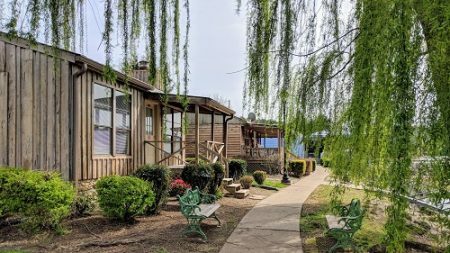 This is late summer perfection at Wildwood Resort & Marina in Granville, Tennessee, just 65 miles east of Nashville on the Cumberland River. It’s when the temperatures grow cooler and the trees slowly turn vibrant shades of auburn and gold — all the better for boaters to relax and recharge while discovering a new favorite getaway. 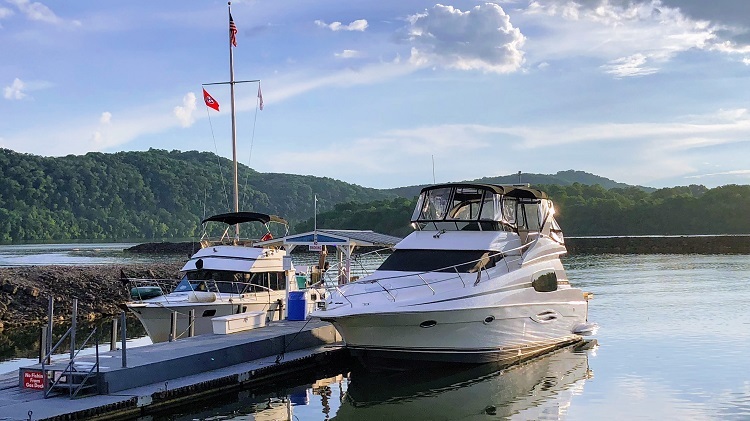 Last January, John and Natasha Deane and Kevin and Donna Jones purchased the assets of Granville Resort & Marina and rebranded the property as Wildwood Resort & Marina. Along with the name change, the new owners brought a renewed spirit of hospitality and service. 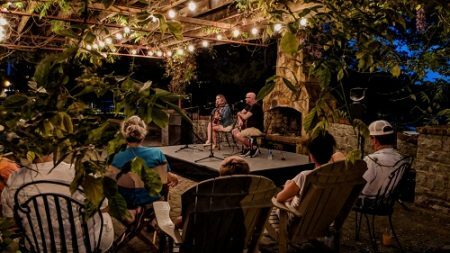 They partnered with Granville Paddle & Board to offer canoe, kayak and paddleboard rentals, and added live music most weekends, including Nashville’s best singer-songwriters on the second Saturday of each month through September. These fresh additions enhance a full menu of amenities for visiting and resident boaters alike. 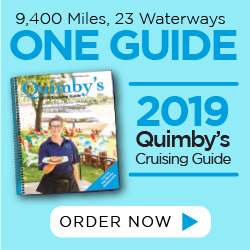 Highlights include a restful resort with charming cabins, a lodge with hotel rooms, RV campground, pontoon boat rentals, a small retail store with the creamiest (14% butterfat) soft-serve ice cream and, of course, a welcoming marina. The latter offers overnight, monthly or annual leases for new 17’ × 60’ and 22’ × 60’ slips with Brazilian hardwood decking, in-slip pump out, 30- and 50-amp electrical service, internet and cable TV access. A full-service diesel and gas fuel dock is also available. Harbormaster Dave Bryant ensures that every visiting boater’s experience is exceptional. Marina slips have Brazilian hardwood decking, pump out, electrical service, internet and cable TV access. In the campground, vintage Airstream campers can be rented to provide a delightful retro overnight experience. 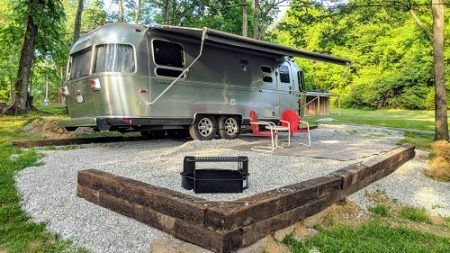 These fully restored Airstreams feature working bathrooms, showers and kitchenettes, as well as air conditioning and comfortable outdoor spaces with views of the water, a fire pit and picnic table. 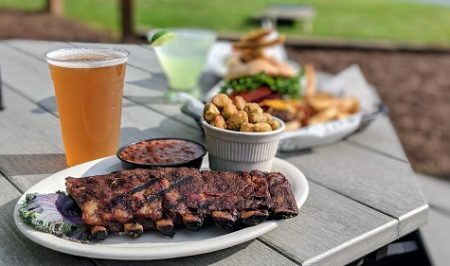 Wildwood also features a quality, full-service restaurant on the water known as Timberloft at Wildwood, where the chef smokes Tennessee ribs and brisket on site and mixes homemade sides. Additional options include salads, burgers and freshly baked potatoes stuffed with barbecue. The restaurant features a full bar serving beer, wine and liquor by the drink, including special concoctions that receive rave reviews, like the Blackberry Margarita and Drowsy Maggie Manhattan. If you want to do some exploring outside of the resort grounds, bucolic Granville has a number of attractions that tell the history of the former riverboat town. Check out the pictorial collection and period displays at the Granville Museum, see tools and farming implements at the Agricultural Museum, and take a tour of the Sutton Homestead (established 1880) and Pioneer Village. The T.B. Sutton General Store has been chosen as one of the “Most Charming General Stores in America” and has furnishings and memorabilia on display as well as unique gifts and merchandise for sale. Indian and Martin’s creeks, which slink inland to either side of Wildwood Resort & Marina, are well known for fly fishing and make a great spot for paddling or floating. Nearby Cummins Falls State Park boasts Tennessee’s eighth largest waterfall by volume — it’s 75 feet high — and has a swimming hole along with hiking trails and seasonal events. Just an hour’s drive west or 125 miles down the Cumberland River, Nashville provides all the big city amenities one would expect, plus a heaping helping of Southern hospitality and attractions like the Tennessee State Museum, the Grand Ole Opry, the Country Music Hall of Fame and a full-size replica of the Parthenon, including a 42-foot-tall, gilded statue of the goddess Athena. Wildwood Resort & Marina is located at mile 331.5 on the left descending bank of the Cumberland River. From the channel, head behind the breakwater and follow the approach into the docks. The marina is about 5 miles from Elmwood, Tennessee. Take Highway 70 North east to Chestnut Mound, then head north on State Road 53 (Granville Highway) until you reach Granville. Wildwood Resort & Marina will be on your left.